In February of this year, Christine Goodair took to the pool for her very first February Fitness Challenge. Here she tells us what it’s all about, how she got on and most importantly… would she do it again? What is the February Fitness Challenge? A couple of years ago, I read Verity Dobbie’s article on the February Fitness Challenge in her Swimming Times column and thought I would quite like to give it a go myself. After seeing a post on the British Masters Facebook page, I decided to take on the challenge and enter. The annual February Fitness Challenge started in 1993, hosted by the Tualatin Hills Barracudas Masters Club in Oregon. It aims to promote health and wellbeing by encouraging swimmers to maximise their workout frequency and yardage (mileage for us Brits!) during the month of February. In each age group there were some exceptional records. In the women’s 55-59 years category, the distance swum was 460,100 yards, and in the 85-89 years age group it was 123,300 yards. So how did I go about it? Fortunately the club I train with, Kings Cormorants, already has four sessions a week. This left me with only three additional swims to do. So, on Thursday mornings I would swim for an hour before work. And on Fridays and Saturdays I was able to use the pool that Kings Cormorants train in or treat myself to swimming at an open air heated pool near Hampton Court. The next question for me was should I set a target to achieve in 28 days? I looked at results from previous years and was daunted by some of the distances swimmers had achieved. 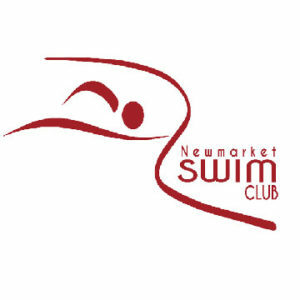 The record holder in my age group (55-59 years) had swum 460,100 yards (261 miles) – that’s an average of 9 miles a day or 16,432 yards a day! I decided that I should aim to swim a similar distance to that of one the Kings training sessions, usually about 2000 yards (we swim in an old pool 33.3 yards) which gave me a target of 55,000 yards over the 28 days. As we all know, swimming lengths can be boring. But I found that having a target and challenge was motivating. However, the real key that kept me going and avoiding boredom was using different workouts, and having people to swim with. Fortunately workouts at the four club sessions were set – no thinking just swim – so that left me with the task of creating three sessions for myself. I came up with sessions that included technique work, stamina sets, individual medleys and full stroke swims. 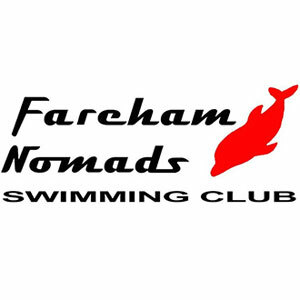 Only on one day did I panic that I might not get to a pool, as I had a message that the pool was closed, but luck prevailed and the pool was re-opened especially for our club session – phew! 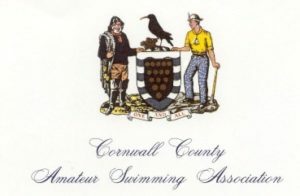 During the month I also did the British Long Distance Swimming Association’s Hour Postal Swim, which was good for getting more distance in that on a normal club session. I found that I became a little obsessed with competing against myself, always aiming to go further each day. 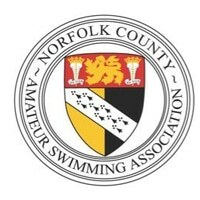 The last day was great fun, because I had entered the Bracknell Masters Meet and swam eight events. However, I was faced with issue that the races would only provide 850 metres towards my daily total. Luckily this was not a problem. The leisure centre had two 25m pools so I did very long warm ups and swim downs between sessions and races, giving me a total of 3390 yards for the last day. My overall total for the 28 days was 69,075 yards – 14.075 more than my target. March dawned, and where did I find myself? In the pool again! And yes, I would do it all again next February!